Facilitating the movement of perishable products under specially controlled temperatures, cold chain logistics operates primarily through a network of cold storage and refrigerated transportation. Apart from products stated earlier, we also transport all products which require refrigerated transportation such as chemicals etc, in North and West India. 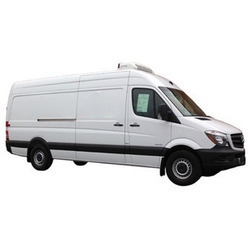 Refrigerated Trucks Services and solutions are used for the transportation of those goods that require particular temperature for storage so as to avoid any king of damaging of spoilage. 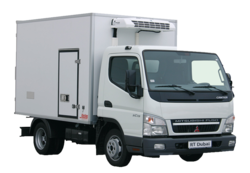 Our range of these trucks are simply equipped with varied refrigeration systems to provide the storage temperature of 25 C up to - 27 C for the transportation of food products or pharmaceutical drugs. Our clients can avail from us end-to-end solutions of Frozen Food Transportation as per set industry standards. We undertake various Frozen Food Consignments that comprises food and beverages products. These products are kept under the right kind of temperature as per the availability of refrigerated transportation vehicles.